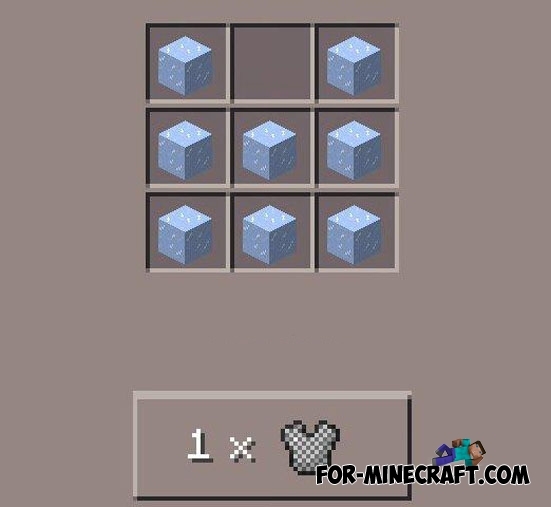 Do you have a compressed ice, used to make exciting new armor and weapons! 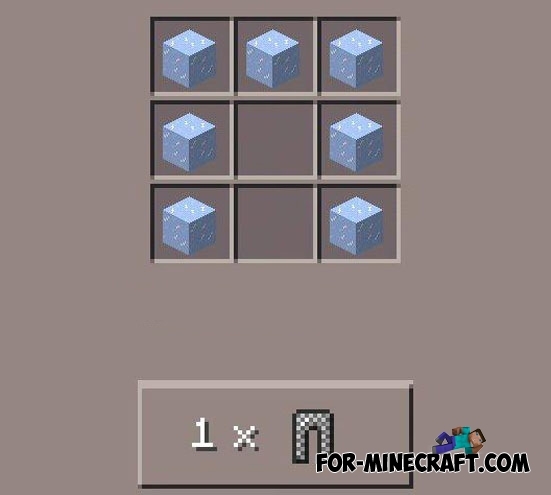 The most interesting elements of mod - the chain mail of compressed ice and the battle ice ax! 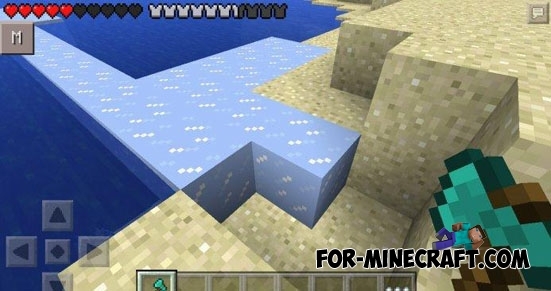 To get a new ice, you have to be on the ice biomes, and then need to find frozen water. It is best to go to the lake or river. 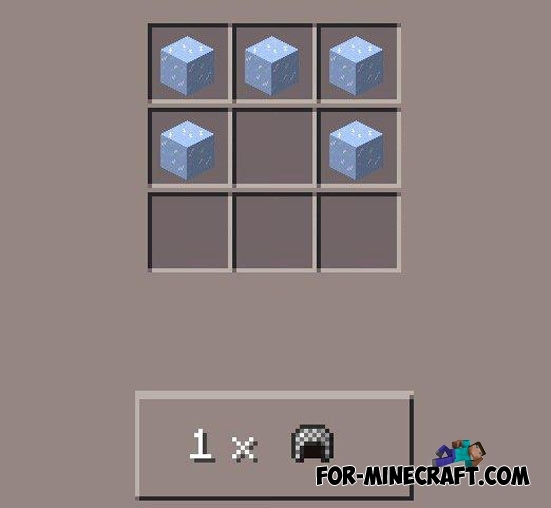 Tap on the ice, after which the block will break, and you get a compressed ice. 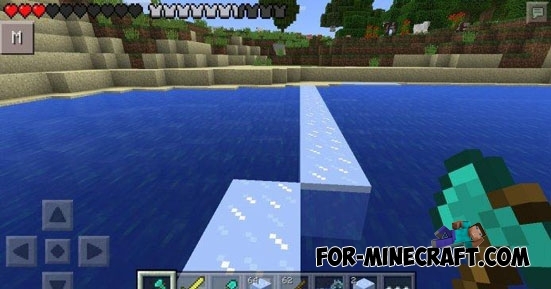 If you walk on water, the surface of the water under your feet will immediately become icy. Seraluna`s mill Water Temple Map for Minecraft 1.8Here is Temple of Water - map, the construction of which the author has been almost 3 years! 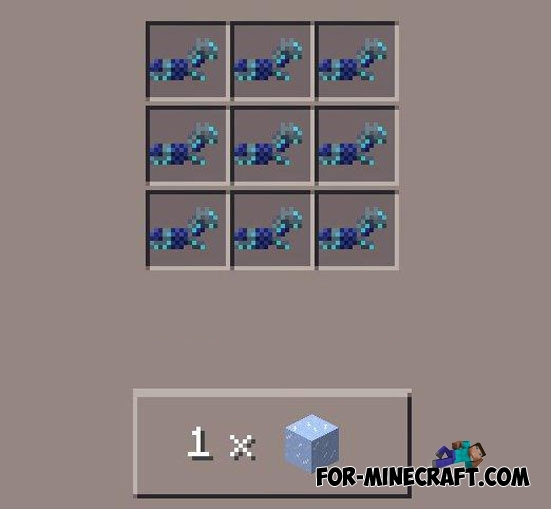 Craftable Chain armor script Minecraft Pocket Edition 0.10.0Is a mod for iron chainmail for Minecraft PE 0.10.0. 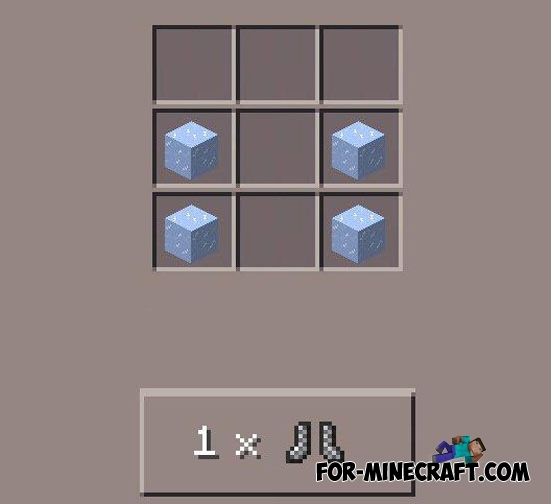 With this mod in your game will be a great opportunity to cool crafted iron chain mail, which will be unique to your armor. 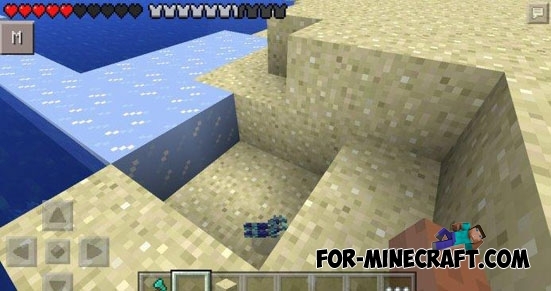 Water Bucket mod for Minecraft PE 0.10.0Mod adds to the game a special item for teleportation.